Entering Friday losers of three of their last four, the Red Sox traveled down to St. Petersburg for a three-game weekend set against the team currently sitting atop the American League East in the 14-5 Tampa Bay Rays. Facing off against the Rays for the first time this season, Eduardo Rodriguez made his fourth career start at Tropicana Field to kick off Easter weekend. Pitching into the sixth inning, the left-hander had an up and down kind of night, surrendering four runs (three earned) on seven hits, one walk, and one HBP to go along with six strikeouts over 5.1 innings of work. After allowing the first two batters he faced in the first to reach base, Rodriguez proceeded to retire the next four Rays hitters he faced before giving up a second inning solo home run to second baseman Brandon Lowe, which gave Tampa Bay the early lead. An inning later, allowing the leadoff hitter to reach base would come back to bite Rodriguez this time around, as Yandy Diaz tallied the Rays’ second run of the night on a two out RBI triple off the bat of ex-White Sox outfielder Avisail Garcia to make it a 2-0 contest. Later in the fifth, a superb 5-4-3 inning-ending double play started by Rafael Devers kept the Rays off the scoreboard this time, but things got sour for a bit in the next frame. Following a four-run rally from the Red Sox bats over the course of the fifth and sixth innings, Rodriguez had the opportunity to notch his second consecutive quality start, but could not see the inning through. Ironically enough, Devers, with a flashy defensive play under his belt already, ended up being the main reason the Rays scored in the sixth to begin with, as his fielding error on a Avisail Garcia ground ball could have resulted in another double play, but instead allowed both Austin Meadows and Garcia to reach base safely with no outs. Capitalizing on that mistake right away, the very next hitter Rodriguez faced after that Devers mishap, Daniel Robertson, ripped a two-run double down the left field line, plating both runners while simultaneously tying this contest up at four runs a piece and putting an end to Rodriguez’s evening. Finishing with a final pitch count of 94 (57 strikes), the 26-year-old hurler relied on his cutter and four-seam fastball a combined 68% of the time on Friday and induced 10 total swings and misses while doing so. Still with just one winning decision this season, Rodriguez’s next start should come sometime next week at home against the Detroit Tigers. In relief of Rodriguez, Brandon Workman came into this one fresh off his worst outing of the year on Tuesday, and was tasked with stranding the potential go-ahead run at first with two outs to get. Needing just two pitches in the sixth alone, Workman managed to get Rays shortstop Willy Adames to ground into another inning-ending 6-4-3 double play before tossing a scoreless seventh inning with the help of a Christian Vazquez caught stealing as well. From there, Matt Barnes collected a pair of strikeouts in a 1-2-3 eighth to make way for Ryan Brasier, who rebounded from a rough Tuesday night in the Bronx and picked up his fourth save of the year thanks to a scoreless ninth. On the other side of things, the Red Sox lineup was matched up against Rays opener Ryne Stanek to start things out on Friday, and it took a while for the bats to get going. Going the first four innings without a single hit, a JD Martinez leadoff walk off southpaw Ryan Yarbrough in the fifth would turn out to be the catalyst of a three-run inning, with Rafael Devers driving in Boston’s first run of the night on a one out, 107 MPH RBI double. Just a few pitches after that, Christian Vazquez would pull his team ahead for the time being by blasting his fourth home run of the season already to make it a 3-2 game. He hit three homers all of last year. An inning later, after Mookie Betts and Mitch Moreland led things off with a pair of singles off Wilmer Font, Martinez was back at it again, this time collecting his 11th RBI of the season on a line drive single to center that scored the reigning AL MVP from third. 4-2. That two-run lead would not last long though, and it wasn’t until the eighth when the Red Sox finally put this game to bed. Almost exactly like the top half of the sixth, except with Rays reliever Diego Castillo on the mound this time, Betts and Moreland were responsible for Boston’s final two runs of the night, with each mashing crucial solo homers to give the Red Sox a 6-4 lead, which would go on to be the final score in this one. Betts, with his fourth homer of the year, hit the ball to the deepest part of the yard at 424 feet to dead center. That could be exactly what he needs to get on a roll after a slow start to his 2019. You could tell hitting that meant something to him as he was rounding the bases. Moreland, meanwhile, now leads the Red Sox with six home runs on the season, this one coming off the bat at 101 MPH with a projected distance of 411 feet to right center. Entering Friday, Castillo had yet to surrender a home run in 11 innings of relief for Tampa Bat. JD Martinez has reached base in all 20 games the Red Sox have played in this season. He is currently batting .352 (19/54) with two home runs and four RBI over the course of his current nine-game hitting streak. Next up for the Red Sox, it will be Rick Porcello getting the ball in the middle game of this series against right-hander Charlie Morton. Currently sporting an unsightly 11.32 ERA through three starts this season, I believe it’s safe to say that Saturday is an extremely important day for the right-hander. In 15 career starts at the Trop, Porcello owns a 2.86 ERA and .244 batting average against over 97.2 total innings. Starting for the Rays, as I mentioned earlier, will be ex-Astros hurler Charlie Morton, who in his first season in Tampa Bay, has given up just five earned runs in his first four starts and 20.2 innings pitched. That’s good for an ERA of 2.18. First pitch Saturday is scheduled for 6:10 PM EDT on NESN. Red Sox going for two in a row. The Red Sox wrapped up their spring on Tuesday afternoon with a 14-7 loss at the hands of the Chicago Cubs, meaning they failed to pick up a win in their brief two-game exhibition series in Mesa, Az. before heading north to Seattle for the real thing. David Price, who we have not seen much of in the past few weeks, made just his second start of the spring in this one. Pitching into the fourth inning, the left-hander surrendered five runs on six hits and two walks to go along with a pair of strikeouts on the day. Retiring seven of the first eight hitters he faced, it looked as though things were going swimmingly for Price up until the bottom half of the third, when four straight Cubs hitters reached base, which in turn resulted in their first two runs crossing the plate. An inning later, a two out solo home run off the bat of Kyle Schwarber would ultimately spell the end to Price’s day, as he would depart from this one following another run of three straight Cubs hits, capped off by an Addison Russell RBI double. Facing 18 batters in total, Price’s next and first start of the regular season will come against the Oakland Athletics on Monday, April 1st. 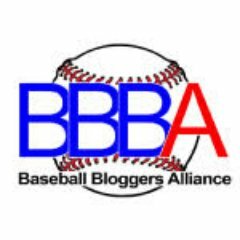 From the middle of the bottom half of the fourth on, Trevor Kelley, Heath Hembree, Brandon Workman, Adam Lau, Tyler Thornburg, Colten Brewer, Ryan Weber, and Durbin Feltman combined to give up a whopping 11 runs (10 earned) on nine hits, four walks, two HBPs, and seven punch outs over the final 4.1 frames. Not great numbers, obviously. Hembree, Workman, and Lau were responsible for eight of those runs in a monster fifth inning for Chicago. On a more positive note, Weber tossed a scoreless seventh inning, so there’s that. On the other side of things, the Red Sox lineup was matched up against Cubs right-hander Carl Edwards Jr., who typically pitches in a relief role, to start things off on Tuesday. After failing to put anything on the board in their first two trips to the plate, Blake Swihart kicked off the scoring for Boston with a one out solo home run in the third inning off Massachusetts native Tim Collins, his first of the spring. Fast forward all the way to the sixth, and Sam Travis got his impressive day at the plate started by belting a line drive RBI double to left that allowed Eduardo Nunez to score all the way from first. And later on in the eighth, after the first four Red Sox hitters had reached base to lead the inning off, including a Tate Matheny RBI single, Travis capped off his spring in exciting fashion, mashing a bases-clearing grand slam off Cubs reliever Ian Clarkin. Granted, it ended up not making that huge a difference in the final score, but what a way for the 25-year-old Travis to head into his first ever big league Opening Day. Hard not to be excited for him. 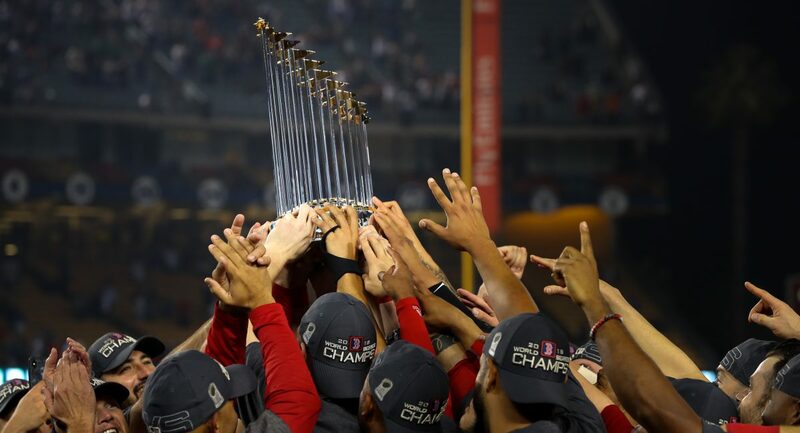 Anyway, the Red Sox would go on to drop this one by a final score of 14-7 to put the finishing touches on what turned out to be a 12-17-1 spring. Next up for the Red Sox, it’s Opening Day as well as opening weekend in Seattle. Here are the starting pitchers Alex Cora is going with for the first series of the 2019 season. First pitch Opening Day (March 28th) is scheduled for 7:10 PM EDT on ESPN. The Red Sox improved(?) to 6-12-1 in Grapefruit League play on Thursday following a 4-4 draw on the road against the Detroit Tigers in Lakeland. The tie officially puts an end to Boston’s seven-game losing streak. Making his fourth start of the spring in this one was Eduardo Rodriguez. Working the first five innings, the left-hander surrendered three earned runs on three hits and two walks to go along with eight strikeouts, doubling his spring total in one outing. All three of those Tigers runs came around to score in the bottom half of the second, highlighted by a pair of run-scoring doubles from Jeimer Candelario and Grayson Greiner off of Rodriguez. Other than that, the 25-year-old hurler was nearly perfect as he retired nine of the final 10 hitters he faced, which also included a three-strikeout third inning. In total, Rodriguez faced 20 hitters. Through four starts this spring, the Venezuela native owns a 4.15 ERA and 1.23 WHIP over 13 total innings pitched. From the top of the sixth inning on, Brandon Workman, Heath Hembree, Domingo Tapia, and Durbin Feltman combined to toss four frames of one-run ball on two hits, three walks, and seven strikeouts. For Hembree, Thursday’s action marked his first appearance of the spring. The right-hander fanned the only three hitters he faced in a scoreless seventh inning. A 2018 third round selection out of Texas Christian, the 21-year-old struck out the first two hitters he faced, walked Gordon Beckham to put the potential go-ahead run on base, then proceeded to pick off Beckham to retire the side in the ninth and thus end the game. Not bad for your first ever Grapefruit League action. On the other side of things, the Red Sox lineup was matched up against Tigers left-hander Matthew Boyd, who figures to be a significant member of Detroit’s rotation in 2019. Starting the scoring in the fourth, Steve Pearce got his team on the board by mashing his first home run of the spring, a two-run shot off Boyd to pull Boston to within one run. After CJ Chatham drove in the then-tying run with an RBI single in the fifth, Pearce was at it again an inning later, as the 2018 World Series MVP took Tigers reliever Victor Alcantara yard for his second long ball of the afternoon. That made it a 4-3 ballgame at that point in the sixth, which would be all the scoring the Red Sox could muster in what would end up being a 4-4 stalemate. Rafael Devers went 2/3 with a run scored on Thursday. In 29 Grapefruit League at-bats, the corner infielder is slashing .448/.448/.690 with one home run and four runs driven in. Speier also noted that free agent closer Craig Kimbrel’s agent David Meter was on hand at Joker Marchant Stadium on Thursday and “briefly crossed” paths with Dave Dombrowksi. Something to monitor there, perhaps. Next up for the Red Sox, they’ll head to Tampa to take on the New York Yankees on Friday. Right-hander Hector Velazquez is slated to start for Boston, while fellow righty Domingo German will do the same for New York. First pitch at George M. Steinbrenner Field is scheduled for 1:05 PM EDT. Boston 25 is the way to go if you will be watching within the Boston market, while NESN will have it covered if you will be watching outside said market. The Red Sox fell to a not so nice 6-9 in Grapefruit League play on Saturday afternoon following a blowout 10-2 loss at the hands of the New York Mets at JetBlue Park, marking their fourth straight defeat. Eduardo Rodriguez got the start in this one and was impressive yet again, as the left-hander worked the first four frames and held New York to just one run on three hits and one walk to go along with a trio of strikeouts. He faced 15 hitters. Red Sox manager Alex Cora said that he would like to see Rodriguez be more aggressive following his previous start this past Monday. When asked about the Venezuela native’s outing on Saturday, Cora seemed encouraged with what he saw. In relief of Rodriguez, Matt Barnes, Tyler Thornburg, Josh Taylor, and Domingo Tapia surrendered nine runs on 12 hits, one walk, and four strikeouts over the final five innings. For Barnes, Saturday’s outing marked the right-hander’s 2019 spring debut. He allowed hits to four of the first five hitters he faced , which in turn resulted in three New York runs coming around to score in the fifth. Thornburg, meanwhile, served up a monster solo home run to Mets first baseman Pete Alonso to lead off the sixth before allowing an additional two runs as well. Through four appearances and four innings pitched this spring, the former Brewer owns a gargantuan 15.75 ERA and 3.00 WHIP. When asked about Thronburg’s underwhelming performances so far in 2019, Cora implied that it’s now “go-time,” for the right-hander. On the other side of things, the Red Sox lineup was held in check by Mets starter Zack Wheeler, as the 28-year-old hurler allowed just one hit and no walks while fanning three over four shutout innings of work. As a matter of fact, the only inning Boston could put across any runs came in the first inning without Wheeler on the mound for New York in the bottom half of the fifth. Blake Swihart got the scoring started with a two out RBI single off Kyle Dowdy to plate Sam Travis from second, and Andrew Benintendi drove in Swihart on another RBI single that also happened to end the inning with Christian Vazquez getting thrown out at home. That made it a 4-2 game at the time, but the Mets would go on to score six unanswered, as the final score in this one was 10-2 in favor of New York. Blake Swihart went 1/2 on Saturday with that RBI single. He started at catcher and played the first five innings. Speaking of catchers, Christian Vazquez, who DH’d, went 2/3 on Saturday with a double and a strikeout. Rafael Devers went 1/3 with a triple. He has yet to hit a three-bagger in a regular season game. Next up for the Red Sox, they’ll look to put a stop to their four-game skid on the road against the Tampa Bay Ray in Port Charlotte on Sunday. Right-hander Rick Porcello is set to make his first start of 2019 in this one, while fellow righty Casey Sadler will make the start for Tampa Bay. First pitch at Charlotte Sports Park on Sunday is scheduled for 1:05 PM EDT. NESN will have it covered.